Ben Edelman used patent-troll tactics in going after a Chinese restaurant. The Harvard professor who went after a Chinese restaurant used some familiar tactics. 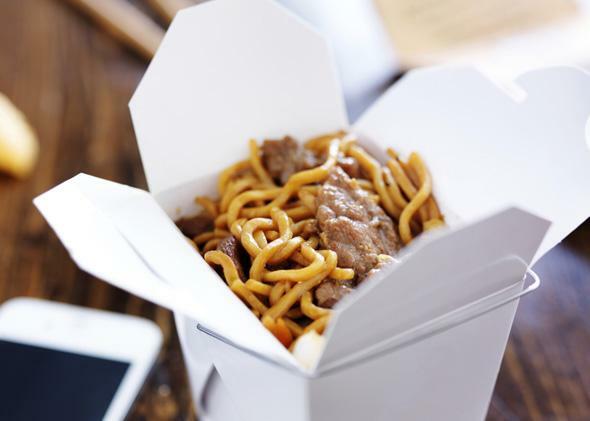 Slate holds a patent on the concept of noodles in a box and saw that this lo mein was listed as $1 cheaper on its website than we were charged for it. We intend to sue on both grounds under the full authority of the law. This is in large part a silly story about a Harvard professor being, well, a Harvard professor. Edelman has since apologized, and the Internet has moved on. But it occurs to me that this episode is valuable in that it explains pretty clearly what is wrong with a whole lot of intellectual property law, and particularly the problem of patent trolls. Fundamentally, Edelman’s outlandish correspondence with Sichuan Garden boils down to three things. First, he speaks from a position of apparent power. Edelman has four Harvard degrees, including a J.D. from Harvard Law; he cites Massachusetts statutes; he obliquely notes his status as an attorney. Second, the recipient of this legalese browbeating obviously has no idea what’s going on or how to respond. The restaurant’s manager Ran Duan (no relation to me, as far as I know) struggles with English grammar, and yet is faced with these complex allegations of consumer protection law. Third, Edelman’s purpose is not to fix a problem but rather to extract a freebie. If his real concern were consumer protection, he could easily have asked for Sichuan Garden to fix the website and give him $4. But by citing the treble damages law—which he likely isn’t even actually entitled to—he demands more than one-third of his $35 bill back. These exact three characteristics underlie the bulk of abusive patent assertion stories today. The so-called patent troll speaks from a position of apparent power: He or she holds a granted United States patent and claims to know patent law. The recipients are often small businesses—particularly non-technology companies such as mom-and-pop restaurants—that never thought patent law was relevant to them. And the object of patent trolls’ demands is not to sell an invention or vindicate the inventor but to extract a nuisance settlement. I have nothing against Edelman’s actual claim that the restaurant’s website should be corrected. His consumer protection law theory has some merit. (This is in contrast to patent trolls, which I more often than not find to be wrong on their legal theories of patents.) If he wanted to get the authorities on his $4 case, he is fully within his rights to do so. Those authorities would probably tell Sichuan Garden to fix its website, and that would be the end of the matter. But a Harvard professor throwing the weight of his bar admission against a Chinese restaurant over a $4 mistake? That’s just an embarrassment. I’m embarrassed for Edelman for being the kind of person who would use his stature and knowledge to bully a little guy. I’m embarrassed as a lawyer when people misuse the law for its threat value rather than for justice. And patent trolls are, for me, this embarrassment writ large across the face of the whole nation. Sure, if a legitimate patent is legitimately infringed, then by all means the inventor should receive a reward. But that does not make it right to use a patent as a hammer of glass, threatening only for its size though it would shatter upon impact. Unfortunately, there is one difference between what Ben Edelman did and what patent trolls continue to do: Edelman’s dispute was over $4 (or $12). Patent trolls do somewhat more damage to the economy—$29 billion by one estimate. We can be satisfied with the former flap being resigned to a brief curiosity, but patent abuse is a serious problem deserving of careful attention by lawmakers.